Thanks to Terry Woodin and Art for getting this feature page put together. Art in his first race car, the #6. 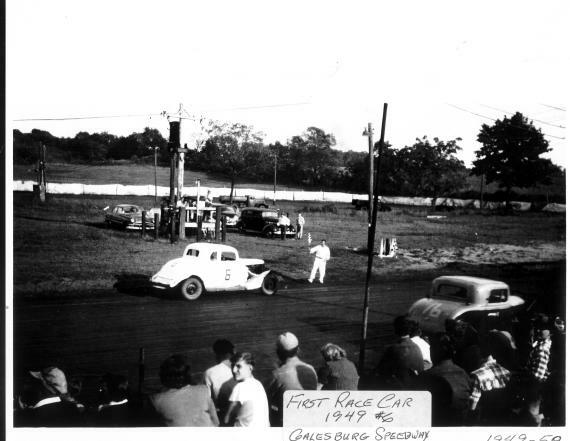 1949 at Galesburg Speedway. 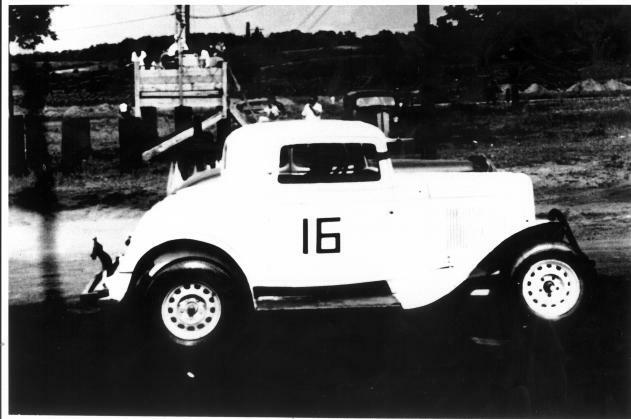 Art's second race car, the #16. A 32 Ford coupe he paid $10 for. 1951. July 27, 1952. 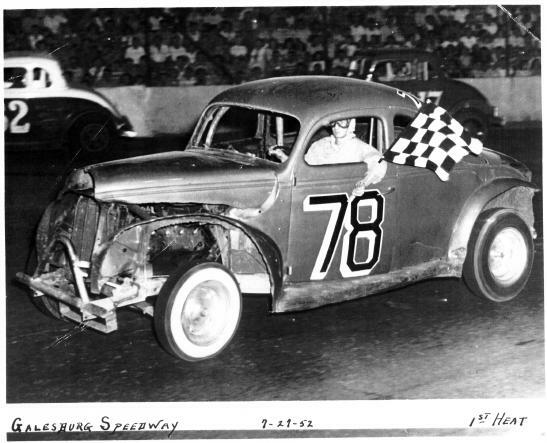 Art wins the first heat at Galesburg Speedway in the #78. 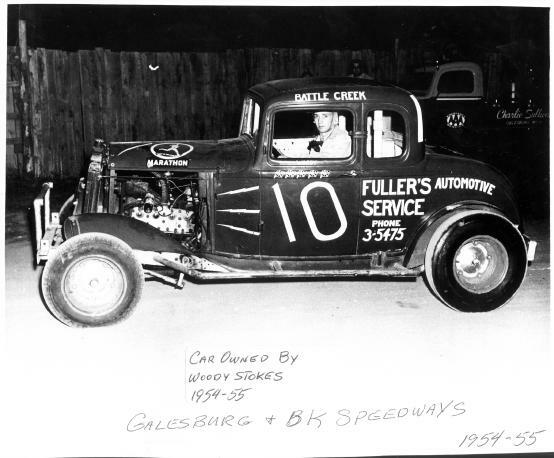 Art drove this Woody Stokes owned #10 at Galesburg and BK Speedways in 1954 and 1955. That's Art, 5th from the left in this 9/1/56 photo. 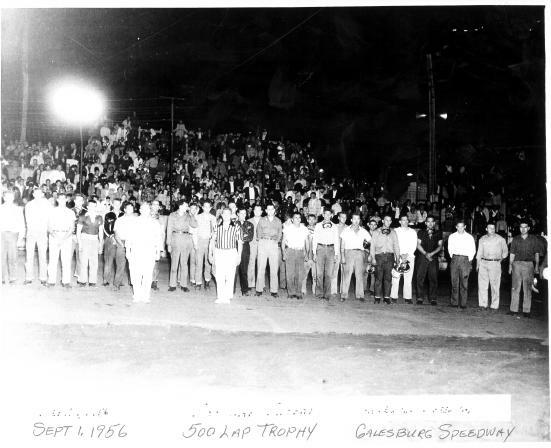 This is a photo of the drivers in the 500 lap trophy race at Galesburg Speedway that night. 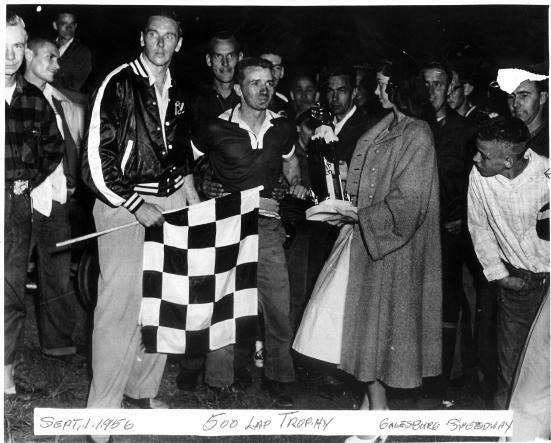 Art won the 500 lap trophy race at Galesburg Speedway on 9/1/56 photo. Here he is getting the trophy. Notice the kid on the right there leaning in too see...a very young Gordy Johncock.